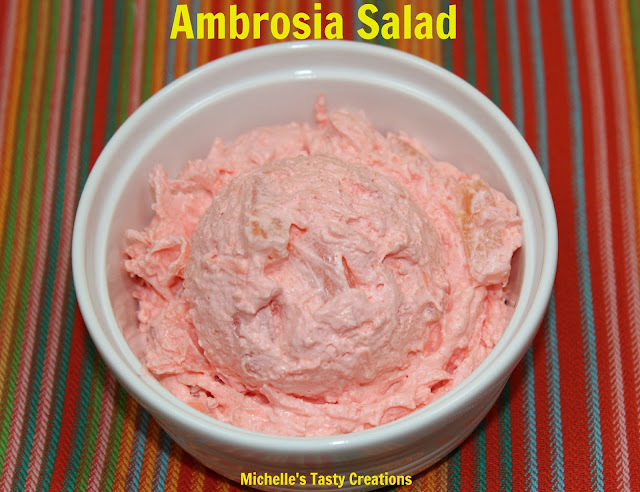 Ambrosia salad ~ now that's a word from yesteryear that accompanies a picture in my head of some kind of orange fluff I was too afraid to try. I remember it being at all the family get together's while growing up. 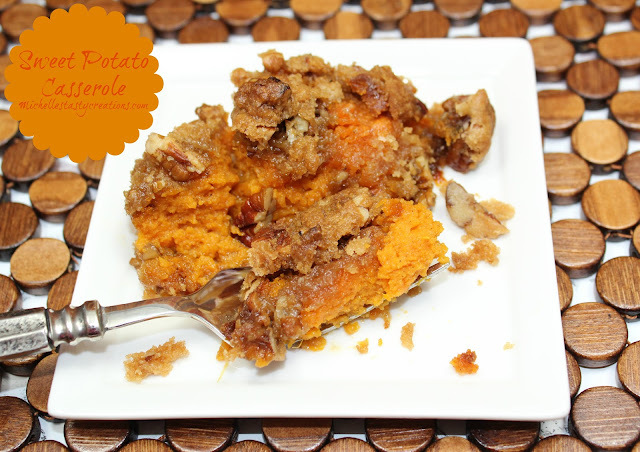 Well, last week on my link party I saw this delicious recipe from Kelley over at The Grant Life and she inspired me to create my own. So I looked through my cookbook and found one I had forgotten about from my cousin Elena's Mom Connie. I have had Connie's version several times and it's delicious. But me being me, I really wanted to incorporate some new ingredients so I combined some of Kelley's ingredients with some of Connie's and I came up with a new and super delicious Ambrosia Salad. 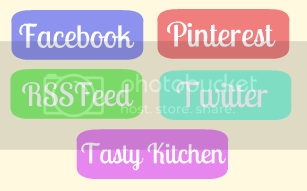 Give it a try ~ Don't be afraid ~ it's really yummy :) Let me know what'cha think. Place all ingredients in a medium to large bowl and mix well. I'd never heard of the fruit punch Jell-O before. It sure is yummy! It's like a pink fluffy cloud of yummy goodness! After it's all mixed together and you've had several bites just to be sure it's mixed well enough, place in the fridge for a few hours (at least 2 up to overnight) to get cold and set. I love these types of salads! I've never heard of fruit punch jell-o before either! I will have to check my grocery store to see if they have it! Your salad looks really good! Lovely color! Thanks for sharing the recipe.